Dubai, UAE, January 10, 2019: Celebrate your kid’s birthday parties at 800 Degrees Pizzeria by making them junior master chefs. Our cooking events are fun for kids to flex their creative muscles, spend time working in peer groups and best of all: a great way to introduce them to the joy of cooking and baking. Kids will be served with a welcome drink, followed by a brief on how to make the Neopolitan pizza all by themselves, from scratch and top it up with their favorite fresh ingredients to give their pizzas a final finish. With fresh dough using Caputo flour and tomato sauce, the chef will demonstrate how the dough is kneaded and slapped professionally to prepare their own pizza base. Our professional pizzaiolo bakers will help kids to bake their pizza to perfection in our wood-fired ovens, while the kids will get to see their pizzas getting baked LIVE. 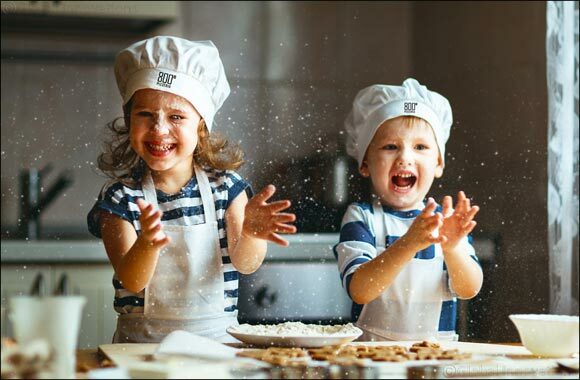 Not only will the kids be offered with mini 800 Degrees chef cap and apron to wear during the session, but they will also be rewarded with a junior pizzaiolo certificate and their handmade pizza with a scoop of happy gelato. A choice of toppings (Tomato sauce, Mozzarella Cheese, Chicken, Turkey Pepperoni, Mushrooms, Olives, Green Peppers, Fresh Basil Leaves).